Argentina’s countryside, natural beauty, cosmopolitan cities make it a must-visit country for travellers looking for newer destinations. Argentinean cuisine is a blend of cultures, predominantly Spanish, Italian, and Indigenous, but with a touch of Welsh, German, and Swiss cooking styles. Asado (barbeque), empanadas, chorizo and dulce de leche based pastries are common dishes in Argentina, but there are many popular regional recipes and their variations to explore. La Pampa is the home of asado while the urban areas of central Argentina serve you European favourites like pasta, pizza, fritters (croquetas), stews (pucheros) and sausages (embutidos). Andean-Inca inspiration is seen in corn dishes like humita and tamal. Mesopotamia is synonymous with yerba mate. The cooking style of Guarani tribe is reflected in the region’s fresh seafood and cassava based dishes. Patagonia is famed for its seafood, sheep meat, dulce and chocolate cakes, and berry jams. Argentinean are foodies who love entertaining family and friends with home cooked meals. This guide takes you on a culinary trip and explores top 12 traditional foods across Argentina. Asado refers to any meat or vegetables that is grilled on an open fire grill (parrilla). While barbequed meats or asado is an essential part of South American meals, this can be considered as a national dish in Argentina. While beef, pig and lamb parts – offal, ribs, sirloin, chitterlings, steak flank, kidneys and sausages are usual suspects, you’ll find other meats (like Llama, kid, and whole pig or goat), cheese and vegetables being barbecued in communal settings. Asado meats are not marinated and Argentineans have grilled versions that are different from their neighbours. 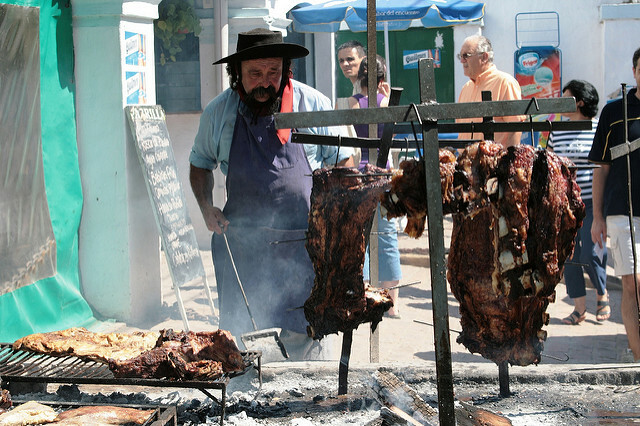 Asado al disco is cooked on a plough disc placed on metallic legs, while asado al horno de barro is grilled in an adobe oven. Black pudding (morcillas), sweetbread (mollejas), baguette bread (marraqueta), salads, and Chimichurri (herby-spicy sauce) are served with various grilled meats. You won’t find an asado meal without a serving of meat sausage (Chorizo). Pork blood sausages are more common, but there are plain pork, boar and beef chorizos. It may sometimes be served with arepa, an unleavened, maize flour patty with or without stuffing. Street vendors and restaurants serve a chorizo roll or sandwich (choripan). This is the Argentinean equivalent of a hot dog or burger. 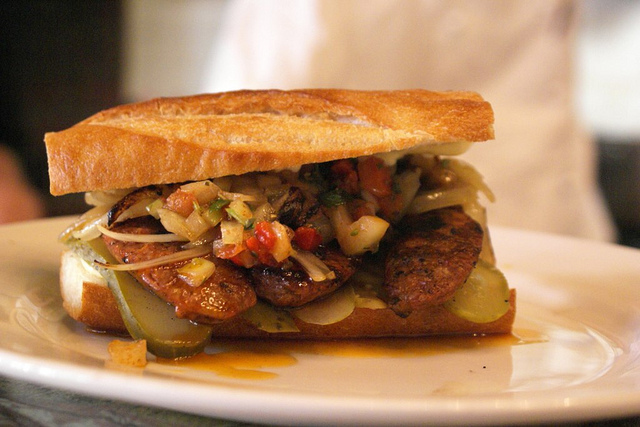 Chorizo is grilled, topped with chimichurri (herb and vinegar sauce) or salsa criolla (with vegetables) and served in crusty slices of bread. Empanadas may be common in South America and Spain, but each region has its own style of making it. 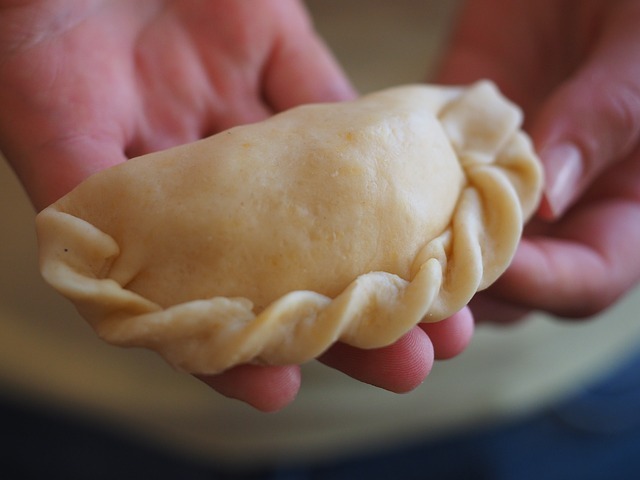 A gift of the Moors, empanadas in Argentina aren’t always sweet. They are essentially breaded stuffing that are baked or deep fried. You’ll find diverse stuffing from meat, eggs, lamb, goat, beef, chicken, and ham to cheese, blue cheese, quinoa, goat’s cheese, and vegetables like sweet corn, potatoes, pumpkin, zucchini or tomatoes. A popular street food, Sweet empanadas contain berry jams, dulce de leche, sweet potato paste and are topped with raisins, cinnamon or sugar. Markings on the pastry folds reveal the type of filling inside. Matabre, as the name goes, literally kills your hunger. 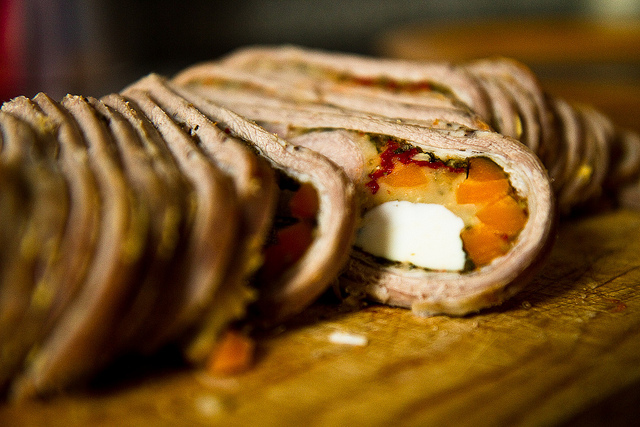 This stuffed dish is wrapped in a roll of thinly sliced meat. The fillings usually include spinach, tomatoes, carrots, onions, herbs, olives and hard-boiled eggs. The wrapped food is then simmered in stock, baked or grilled until the meat is tender enough. The sliced Matabre is served as an appetizer, but is a complete meal by itself. Italian-inspired, Milanesa is shallow-fried breaded meat. Slices of beef are seasoned with salt and spices, dipped into beaten eggs, rolled in bread crumbs and shallow-fried or baked. This is also served as a sandwich filling or along with French fries. 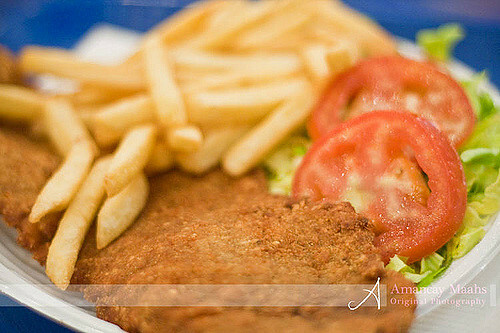 Other versions include chicken (milanesa de pollo) and soy burgers (milanesas de soja) for vegetarians. 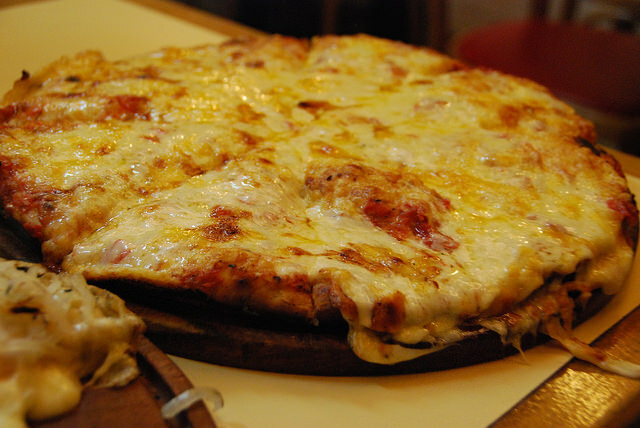 The Italian culinary effect extends to pizzas, but Argentineans prefer a thicker crust. These pizzas have less tomato sauce but so much cheese, that the Mozzarella drips from the sides. If you don’t want all that extra cheese to go waste, order a chickpea pancake slice, Faina, to soak it up. You’ll find regular toppings like tomato and mozzarella, margarita, and ham with cheese. Pizza options include corn, hard-boiled eggs and pineapple. Typical garnishes are oregano, green olives and chilli flakes. 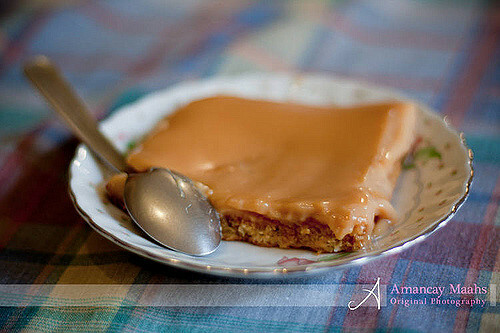 Dulce de leche is nothing but caramelised and sticky condensed milk. In Argentina this is used as jam, pastry topping or spread for bread and snacks. You’ll find it in everything from empanadas and cakes to short-bread cookies and flan. Argentineans love their Helado, creamy and thick ice cream, with a generous topping of this milk and sugar sauce. This is a Moor delicacy, which found its way into the country through the Spaniards. 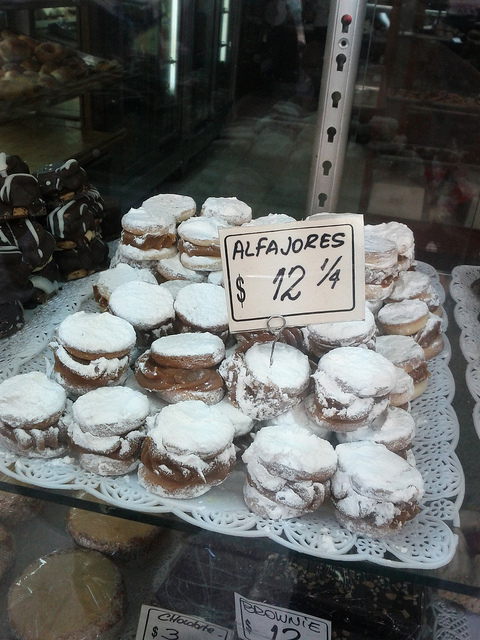 When two crumbly shortbread cookies are sandwiched with dulce de leche, jam or mousse, you get an Alfajor. Modern versions of this cookie sandwich are dipped in chocolate or topped with coconut shavings. 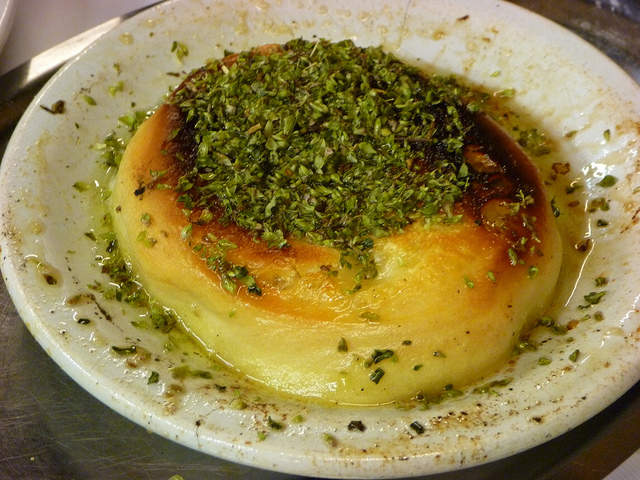 Another Italian-inspired food, provoleta is herb-infused, grilled provolone cheese. The grilled cheese is crisp and slightly browned on the outside, while the interior is smoky and sloppy. This dish gets its sharpness and pungency from toppings like chilli flakes and oregano. For added flavour, some serve it with olive oil and chimichurri. Usually made with cow milk, goat cheese version of provoleta is more acidic and creamy. 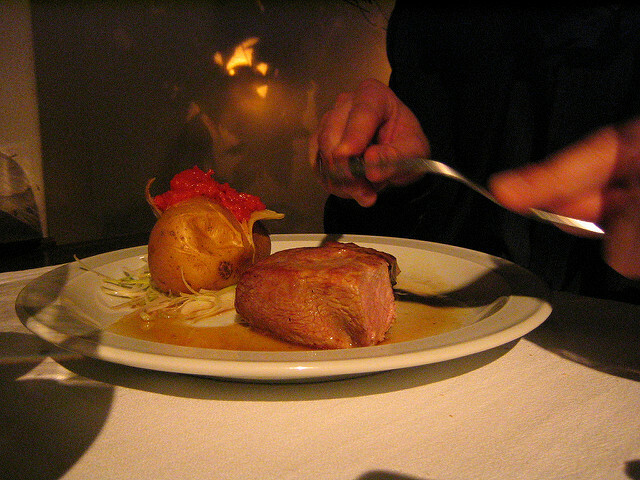 Llama steak is a speciality in Northern parts of Argentina. While the meat has an earthy flavour, it’s lower in fats making it a healthier alternative to beef. This dish can be enjoyed on its own with salads and other sides. You’ll find llama steak in empanadas stuffing and other dishes including stews. A staple dish among indigenous people in the Andean, humita serves as both main course and savoury side. This dish is basically a mash of fresh corn, milk, spices, onions and goat cheese. 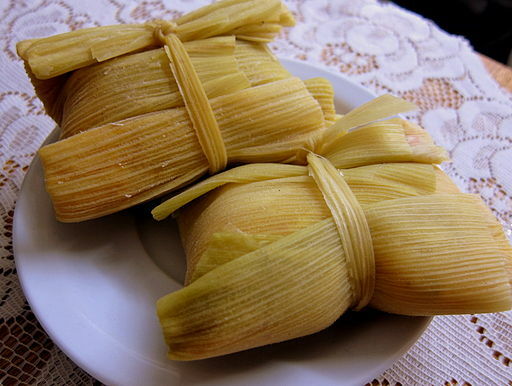 The mashed mixture is wrapped in corn husks, tied with husk string and boiled or steamed. The empanada version with corn is also called empanada de humita. 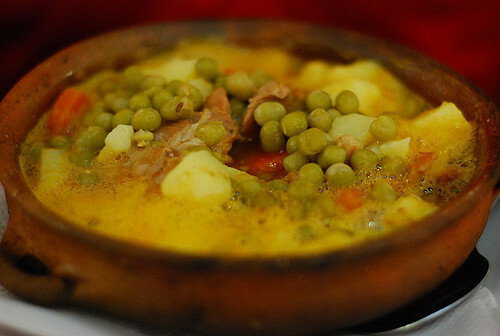 This wholesome stew, is served on May 25 to mark Argentina’s revolution. The national dish contains pork or beef slices, white corn, peas, chorizo, squash, pumpkin and white beans. Locro is flavoured with bay leaf and cumin. A dash of chilli-paprika salsa, quiquirimichi adds a spicy touch to this stew. Have you tasted popular foods from Argentina? Which one is your favourite among these top 12 dishes?